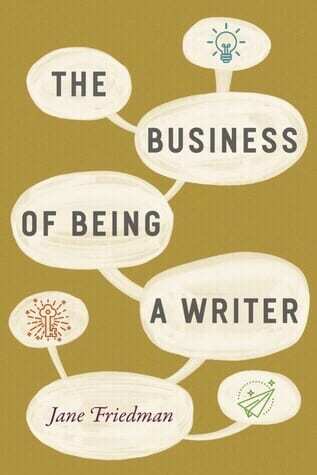 This is Part 15 of a multiple-part live-blog of Jane Friedman’s The Business of Being a Writer. Parts 1-14 can be found here. These two quotes come from two different sections of Friedman’s book. The first is from a chapter on book launches, and the second is from a chapter on making a freelancing career. I see them as being related. My book career is, more and more, related to my freelance writing career, and I am looking to streamline this even more, as I get older and, uh, mature in my career. Hopefully you’ve seen by now how a lot of writing actually mirrors a lot of the way we would work in any other career: tracking your successes, doing your research, training for success, making sure you have the right resources to succeed, are all par for the course, just as they are in any other field. This is as it should be. For today’s post, we’ll talk a little bit about what it was like for me before and after my book was published. My book was published in 2016. Before then, I was doing a lot of marketing writing and content creation. I still do this, because I really enjoy it, but the bulk of the things I was hired to do was either pitched magazine articles or corporate work. A large part of this is not only my actual qualifications, but where I felt most comfortable offering expertise. Even while I was in the process of getting published—a long year, because that’s how long it takes in the traditional publishing world—I didn’t feel quite comfortable talking about what it was like to write fiction or publish it. Most of my speaking gigs and teaching gigs up to then leaned on my expertise as an editor for the Tahoma Literary Review: I would come into classrooms and talk about things like working with an editor, what editing careers look like. I focused more on the broader field of publishing, since I had a lot of experience in that already, on both the publishing end and the editing and writing ends, as a freelance writer. After I published, though, it was like a switch flipped in my head. I could see the various options that were open to me more clearly, and, probably most importantly, I felt confident in my offerings. Here’s the key, though: Nothing had changed in terms of my expertise at writing fiction, but the book—that product in my head—gave me key currency with which to trade. Not a Self-Help Book: The Misadventures of Marty Wu debuted at number 5 on my distributor’s fiction bestseller list. And it crawled its way up to number 3, and then eventually fell off the back end, after eight long months. And although this is not one of the major best-seller lists that Friedman refers to, it gave me even more of a leg to stand on, if only in my own view of my career as a published writer. After I published, I felt much more confident pitching magazines with articles on the art of publishing and the craft of writing. And even the nod I got from the Thurber House (Marty Wu was a semi-finalist for the Thurber Prize in American Humor) gave me the added emotional impetus I needed to pitch and write an article on black humor, a topic I’ve always wanted to cover. This where tracking the profitability of these ventures, though, becomes paramount. It’s very easy to lose yourself in the headiness of chasing after speaking gigs and teaching opportunities, or penning blog posts and interviews. And, because much of this work is done with no immediate financial return on time investment (no, you do not usually get paid for doing Q&As about your book), it’s also easy to fall into the trap of justifying this time spent as moving towards more book sales and more speaking gigs. But you have to work to balance these out. You must acquire paying gigs in order to offset the “free” work you’re doing in order to promote your book and its work. Pre-publication, that work looked like marketing work for me. Post-publication, it’s paid articles about writing and publishing. It’s also adjunct work. When I visit college classes, students often ask me if it’s “still possible” to earn a living off of writing books. I tell them yes, but that it’s time to expand the definition of what that means: “Being a writer” means, to me, sharing what I have learned with others. It means building on the capital I’ve acquired and leveraging that. I mentioned tracking your profitability in the headline of this piece, and I think, the things I mention above are all parts of that puzzle. But one tool you must use is a time tracker and invoicing service. I have used Harvest for many years, thanks to my colleague at TLR, Ann Beman, who introduced me to it ages ago. It comes with a built-in set of parameters that include billable and non-billable hours, so that I can see where my time is spent. I have a complicated formula in my head that allows me to “weigh” what I’m doing against its inherent value, which I’m not going to share with you here because it is too involved—and frankly, I’m not 100% sure of what it actually is. But I do value the work, on both a practical and an emotional level. And in our society right now, which is based on money exchange and not on, say, the barter system, well, measuring your profitability is the only way I can see of being sure that we are valuing our work on the same level everyone else does. If you’re doing work for free, be sure you offset it with plenty of work that pays well. Measure or track your time. Be clear about this; no wishy-washiness. You need to know where your time is going. Find your own sense of worth and value around your work. Experience counts, so you can’t expect to command top dollar if you’re just starting out. Finally, don’t underestimate the emotional value of a hard piece of “currency,” whether that be your published book(s), articles you’ve written, or your degree. I mean this mostly from an emotional standpoint. And if you don’t feel ready to make an offering because you haven’t published or are mid-degree or whatever, that’s okay, too, but be realistic about it: many great writing coaches don’t have MFAs, but you may not feel comfortable stepping into that field without one. Everyone is different, and respecting your own parameters is good. But so is pushing your own limits.